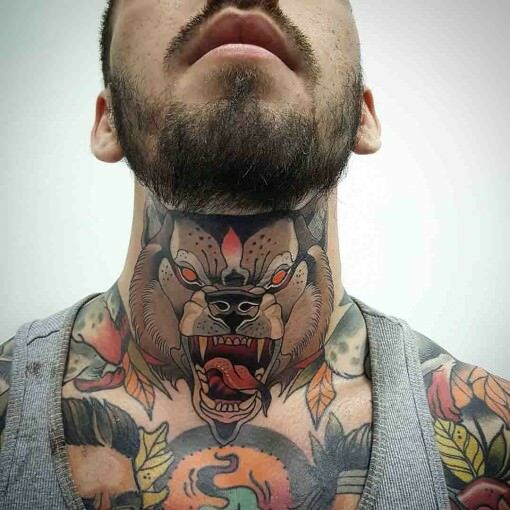 Neck Tattoo Pain – How Much Do They Hurt? Neck tattoos have become quite popular over the last few years. Although you might wonder why some people choose to let vibrating needles come that close to such a sensitive part of the body. Despite what you hear, is neck tattoo pain really so bad? How Much Do Front/Side Neck Tattoos Hurt? You may have heard people saying that having a neck tattoo is the worst pain they have ever had to endure. For most tattooing procedures, the amount of pain typically comes down to the thickness of the skin and amount of fat in the given area. The neck usually doesn’t have much fat nor is the skin thick—which is why the tattoo is so painful. The front of the neck is considered one of the most painful places to get a tattoo. The skin here is very thin—there are also a lot of nerve endings and muscle mass, which only make it more sensitive. One of the most intolerable points about getting the neck tattooed is that it becomes uncomfortable to breathe during the procedure. 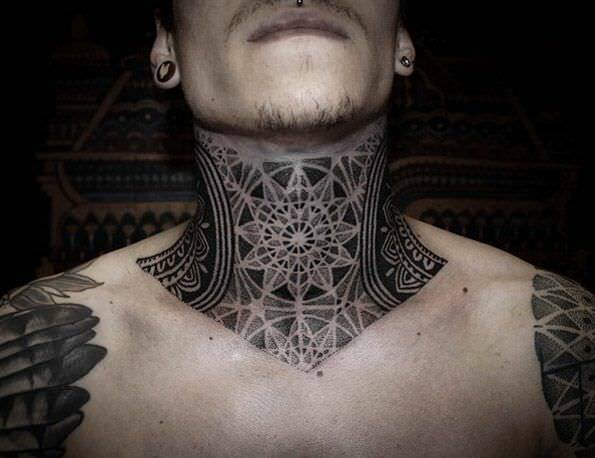 Some neck tattoos go all the way down to the clavicle. This area is even more sensitive, with thin skin, and not much cushioning for the bones. I strongly suggest you think twice before going for a tattoo in this area. Especially if it is your first tattoo or if you have a low tolerance for pain. Having a tattoo on the side of the neck is a different story. This area is considered one of the least painful places to get a tattoo. The side of the neck doesn't have nearly the amount of nerves as the front does. However, as with most things, it depends on the individual. 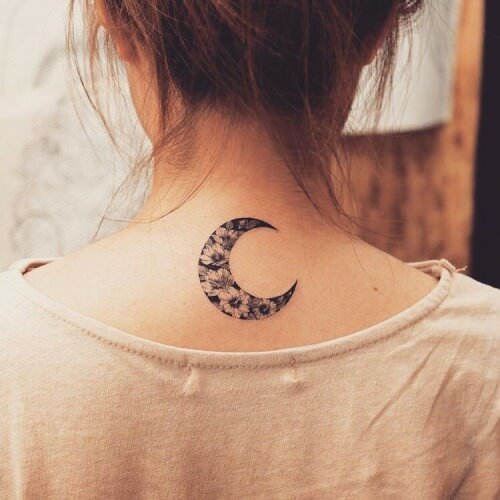 The back of the neck as a location for tattoos is now growing in popularity. The pain depends on the precise location of the tattoo. The skin on the back of the neck is very thin. There's also the spine to consider, along with the cranial nerves—which send signals from our senses and organs to our brain. Many people who have neck tattoos mention that the least painful area on the backside of the neck is the lowest part of the neck—either side of the spine and near the shoulders. There is more fat here, which acts as a cushion for the bones. The skin also tends to be thicker in this area. Getting a tattoo is painful, no matter where it is located. While there are no injections available to ease the pain, here are a few things you can do to make sure your mind and body are ready for the neck tattoo. The type of design you're going for plays a significant role in the amount of pain you might endure. Small, thin lines won't sting as much, but if you're going for a bold tattoo that requires a lot of filling, there will be more pain. I recommend starting small, especially if it is your first tattoo in this area of the body. See how it feels, then you can always build on it. We all have that spontaneous friend who gets drunk and suddenly thinks a tattoo sounds great. While alcohol might make one less aware of the pain, it does have other effects. Alcohol will thin the blood, making you bleed more. 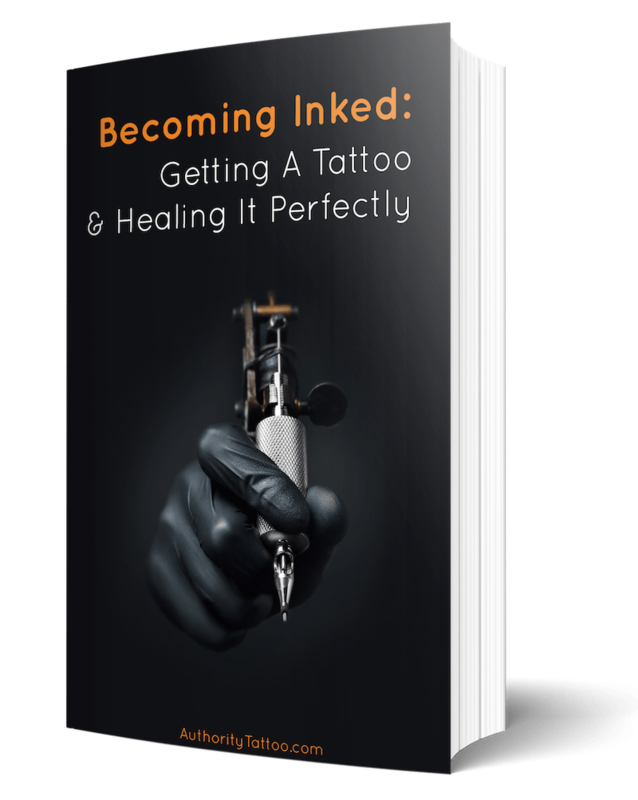 You will only end up with a not-so-nice looking tattoo since the ink will be pushed out of the skin by the blood. The same goes for any over-the-counter painkillers like Tylenol. Energy drinks should also be avoided. Preparing your skin is crucial, and what better way is there to do that than to hydrate? Drinking loads of water before your appointment will help your skin accept the ink, which will enhance the result. Tattoo artists often see clients passing out. This can happen because of low tolerance to the pain, combined with a lack of glucose in the blood. Therefore it is crucial to eat a good meal before getting in the chair. The ultimate way to manage the pain is to take a break. Get up, walk around and drink some water. Always advise the artist when you’d like to step away for a few minutes. Taking too many stops, however, can worsen the swelling, hence making it difficult to finish. You may find that gentle breathing and relaxation exercises can work wonders to alleviate neck tattoo pain. 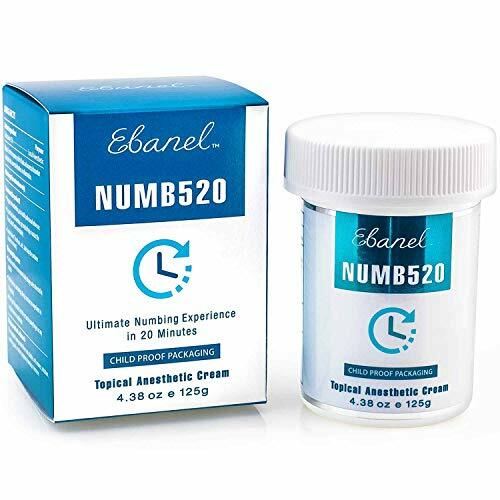 While results do vary and they don't work every time, numbing products can be a helpful tool in your armory to help battle through the pain.